Plan your personal projects with Zenkit! 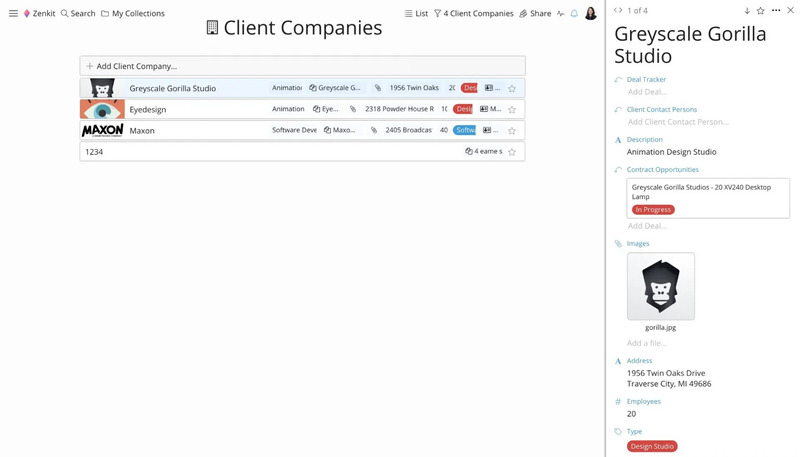 Online project management tools are great for projects—that’s a given. But due to the versatility and flexibility found in a lot of products, they can also be great for planning other occasions in life. In this article, I’ll discuss five other instances where using an online project management tool will come in handy. If you Google “project management tool”, you’ll find that they come in many shapes, sizes, and price ranges. That’s because projects also come in various forms and only having one simple project management software on the market wouldn’t really work. To cater to all kind of projects, you’ll discover that some tools specialize in simplifying tasks and workflow, while others may focus on collaboration or time tracking. Whatever your project is, there’s no doubt you will find a tool perfect for it. Once you’re accustomed to using a particular online project management tool, you’ll eventually start to realize the different ways it can be useful. For instance, being a Zenkit user (of course), I’ve found its focus on task management and visual representation of data to be great for processing, arranging, and keeping track of information for not only my work, but also personal matters. And with that, I’ve discovered five other occasions where Zenkit, or any other Kanban-based tool, can help with organizing life. Meal planning isn’t just for mothers and health enthusiasts. There are many perks to enjoy when planning ahead, especially if you’re trying to get your diet in order. Whatever your reason for meal planning is, whether you’re trying to get healthier, have special dietary requirements, or just need some extra time during weekdays, you’ll be surprised at how easy it can be to get organized using an online project management tool. 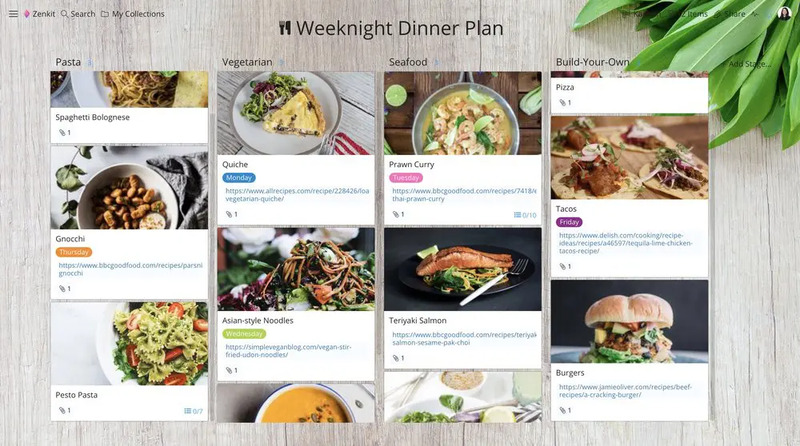 While complying with the Kanban principles isn’t needed for meal planning, it’s visual features—the Kanban board and cards—make it a practical way to organize recipes. If your tool also comes with a to-do list feature, then you can use it to record recipes and to create a shopping list for all the ingredients of the meals you’ve planned ahead. Whether it’s a family holiday, friends getaway, or solo trip, planning a vacation requires you to coordinate activities, organize resources, and stick to a budget (sounds just like a project, doesn’t it?). Using an online project management tool will enable you to do all of this, as well as track your planning and be reminded of important dates and deadlines. 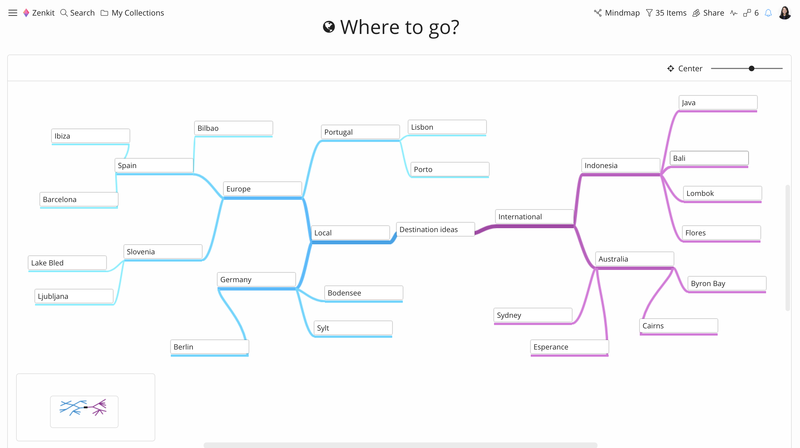 Another great visual feature (along with Kanban) is a mind map. If your chosen tool comes with this free flowing diagram it will allow you to explore ideas for destinations and/or activities. As a visual representation of organized information, mind maps are a great tool for brainstorming ideas as it can offer clear thinking and help with decision making. Just like meal planning, using Kanban features would be the best way to plan a vacation as it will enable you to document tasks, ideas, and activities. There are no concrete rules on how you use personal Kanban, it just offers a great way to keep your visual planner clutter free. Any blogger, journalist, or managing editor will know how imperative having an editorial calendar is for generating consistent and quality content. It’s a great tool for tracking what is going to be written, who will write it, when it will be published, and where it needs to be shared. 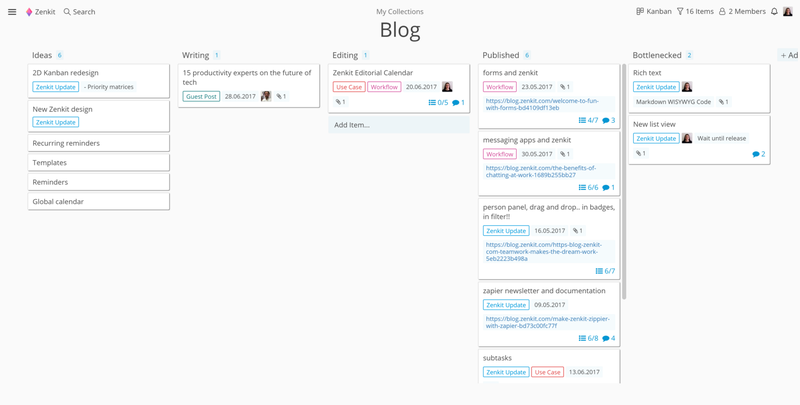 As well as using Kanban to create your editorial process, having a calendar feature in your online project management tool can help you and/or your writers to schedule important dates and keep on top of deadlines. Most businesses that start off don’t usually have the budget to splurge on fancy tools and systems, however, they are an imperative asset for day-to-day operations. The best project management software will go beyond their initial function and expand with features that can include creating cost effective databases and systems. For example, every Zenkit user can enjoy pre-built templates that can help kickstart their new business ventures. It includes templates such as an inventory database, CRM system, and a place to track public relations. Having templates or the features that allow you to create your own business tools enable you to keep track of all the information that passes through your business, from sales leads to managing profits to potential candidates. Putting together an event is a project in itself—you have to manage resources, work with a budget and a deadline, and have a group of people to please. Which is why using an online project management tool is ideal for planning things such as a wedding, Bar Mitzvah, or sports viewing party. A Kanban-based tool will allow you to visually represent your tasks and its progress. Having this kind of overview is helpful for ensuring you keep within budget and deadline. Just keep in mind that it your tool will also need to be fast, reliable, and accessible for all involved because planning a special event can take a village. 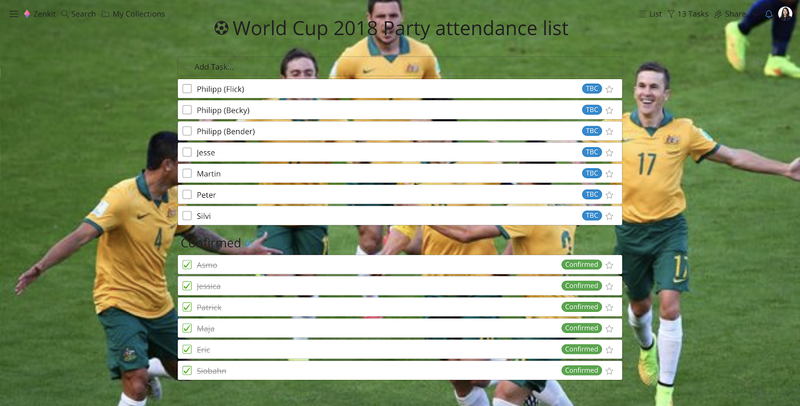 Additional helpful features would be a task list for tracking the supplies and guest lists, and a Gantt chart to monitor the event’s activity timeline. As highlighted in the examples given, using an online project management tool can help beyond the realms of traditional work projects. 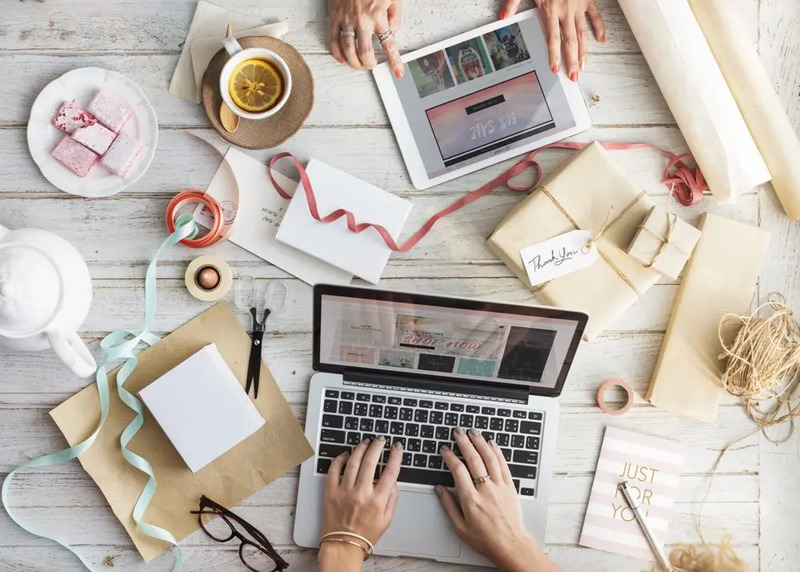 Whether you’re working on improving your diet, planning your big day, or establishing a small business, having a tool on hand can help keep important details in place, streamline the delivery, and improve the overall process.